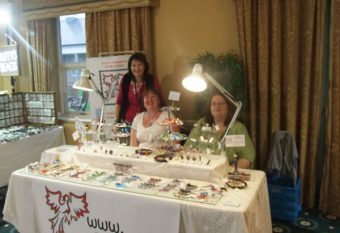 Spotlight on Ruth & Andy (A & R Jewllery): Go and visit their Etsy shop to see the wonderful beads they have listedhere. 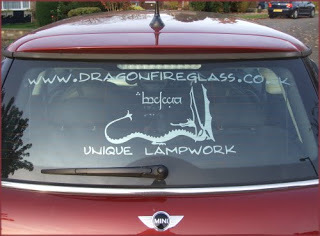 You can also read their blog and visit their website. The snow has gone. Instead of a magical winter wonderland outside my kitchen window, I have grey leaden skies. Becky returns to Durham today and it may be another 3 months before I see her again. My sister has gone to live in Australia. I think the weather reflects my mood. Unfortunately the sun is shining today! As I work in a conservatory, the amount of light and heat is a consideration and I may have to wait until this afternoon so the sun is behind some tall trees in the grounds next to the house.